One of a number of revelations contained in Charles J. Shields' updated biography. 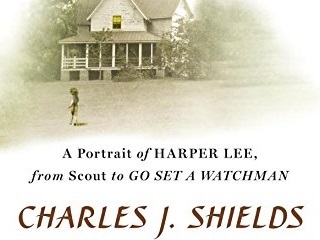 Today marks the release of an updated version of Mockingbird: A Portrait of Harper Lee, first published in the spring of 2007. When author Charles J. Shields (pictured) spoke with The New York Times’ Alexandra Alter about his research process, he touched on a fascinating result of those efforts. Other documents unearthed by Shields reveal that Lee appeared to have quite the crush on the “drop-dead handsome” Dewey. Shields has also written a Young Adult version of his Lee biography, crafted portraits of Kurt Vonnegut and a more obscure novelist, John Williams, and in 2009 he co-founded Biographers International Organization (BIO) with fellow biographers Nigel Hamilton, James McGrath Morris and Debby Applegate. Read the rest of his conversation with Alter here and check out the agenda for BIO’s forthcoming annual conference here.